Defeat the queen of trolls and bring magic back! The wicked queen of the trolls has returned from banishment! Using her evil magic, she has kidnapped the princess of the gnomes and taken her to a distant kingdom. In those lands, none know of the power of the magical gardens! The gnomish people who live there have suffered long at the hands of the queen of the trolls and her subjects. The princess decides to help her brothers and sisters and return the power of the magic trees. 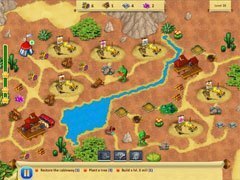 Head out with the gnomes on a journey through an unexplored continent in this exciting fantasy strategy game, Gnomes Garden 2! Over 40 beautiful levels await you, along with a multitude of varied quests, increasing difficulty, an upbeat plot, an extraordinary magical world and exciting gameplay for all ages. 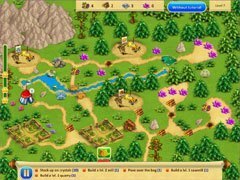 Construct buildings and manage resources, repair ancient mechanisms, use powerful magic and restore ancient magical gardens. Easy-to-learn controls and a well-designed tutorial will help you quickly learn the basics of the game. 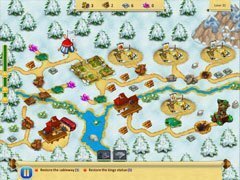 Gnomes Garden 2 – defeat the queen of trolls and bring magic back! -Help the princess defeat the queen of trolls and bring magic back! 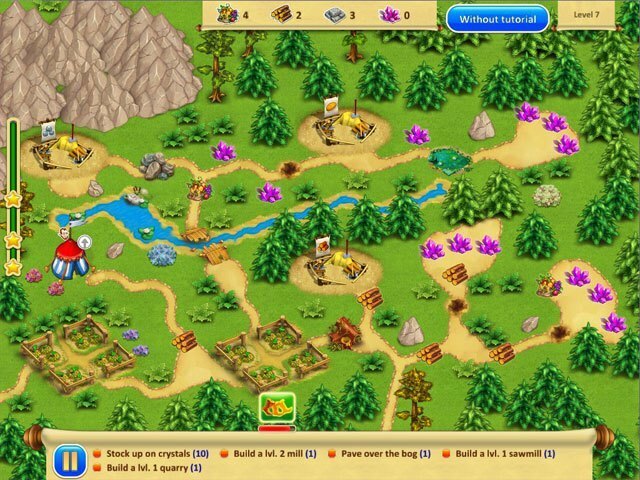 -Over 40 levels and a variety of quests. -Enthralling gameplay for all ages.